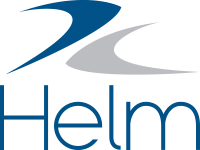 Divisions help you control the data your users can access in Helm CONNECT. All your users, personnel, and assets must belong to a division. When we created your account, we set up a single division known as your "root" division. For some companies, this single division is all that's necessary. NoteIf your company only has one division, all your assets and personnel will automatically be assigned to it. If your company needs a more complex structure, you can add more divisions on the Divisions tab in Operations. You can also use this tab to rename your divisions or arrange them into a hierarchy if you want one division to be the subsidiary or child of another one. ExampleEdoc Marine Services has a root division called EMS and three subsidiary divisions, each with its own ports. To position one division as the parent of another, you can select the name of the parent division from the Parent list. In the example above, EMS is the parent of Div A, Div B, and Div C.
Divisions control the data your users can see in Helm CONNECT, including any information related to assets, personnel, and other users. Most of Helm CONNECT uses "up/down" divisional security. This means users can only see information in their own division, as well as information in the divisions above (up) and the divisions below (down) their division. ExampleAt EMS, if Oliver is assigned to Div B, he sees any assets or personnel assigned to Div B, as well as to Ports B1, B2, and B3 (down.) He also sees any assets or personnel assigned to EMS (up.) However, he doesn't see anything or anyone in Div A or Div C, or in any of the ports below them. It's important to know that divisional security in the Users module is different from most of Helm CONNECT. This module only uses division "down." In other words, when managing users, you can only add or edit users in your own division or below. You can't manage users in any divisions above your own.